Arcadia Paper for ID Printing | 1-Up Sheets | Order From IDCardSupply! This Arcadia Paper comes in a 1-Up sheet, which is deal for printing out a single ID Card. Combining this printed out card with a butterfly pouch will give you the same width as a credit card or drivers license. Arcadia Paper is highly durable, water-proof, and lasts a lifetime. 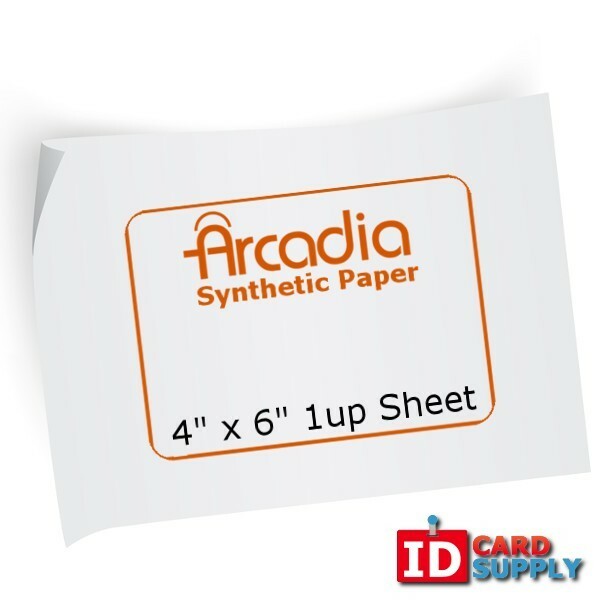 This Arcadia Paper comes in a 1-Up sheet, which is ideal for printing out a single ID Card. Combining this printed out card with a butterfly pouch will give you the same width as a credit card or drivers license. Arcadia Paper is highly durable, water-proof, and lasts a lifetime.